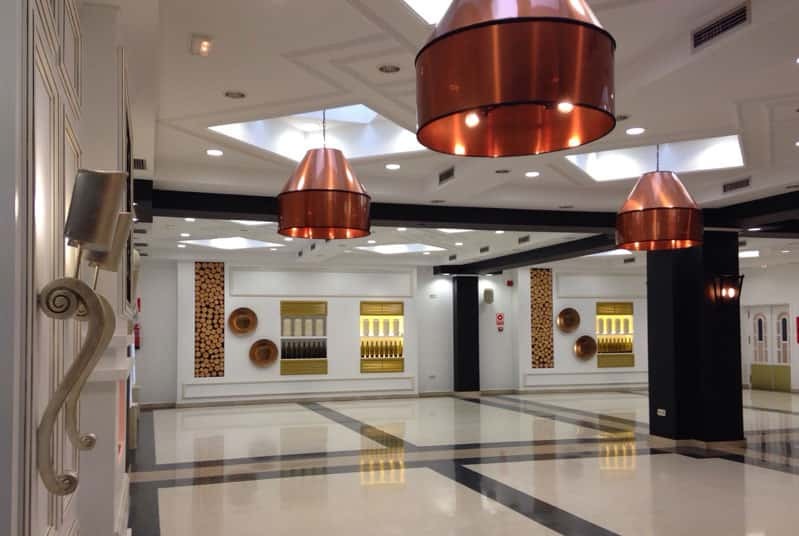 Located in Navahermosa, the province of La Mancha in Toledo, it has become a reference for gastronomy and hospitality in the area. 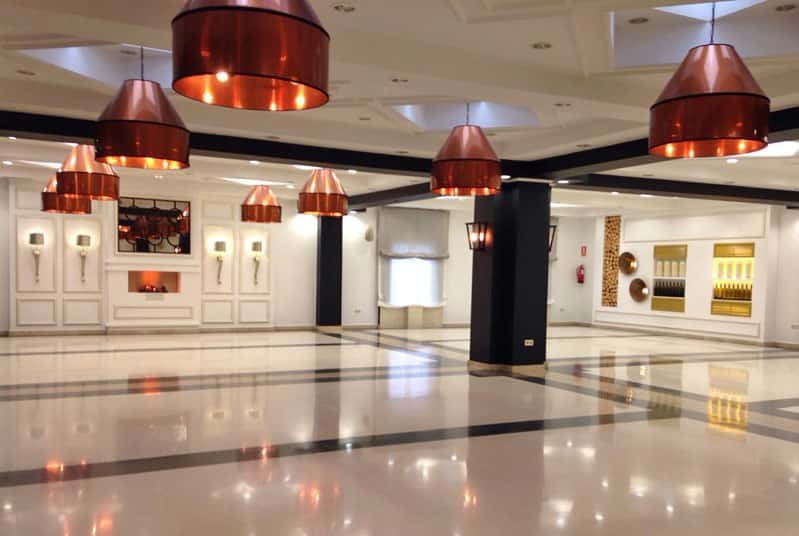 The restaurant-s menu is characterised by offering both traditional and innovative dishes along with great and unique banquets, catering for the most extensive of groups. 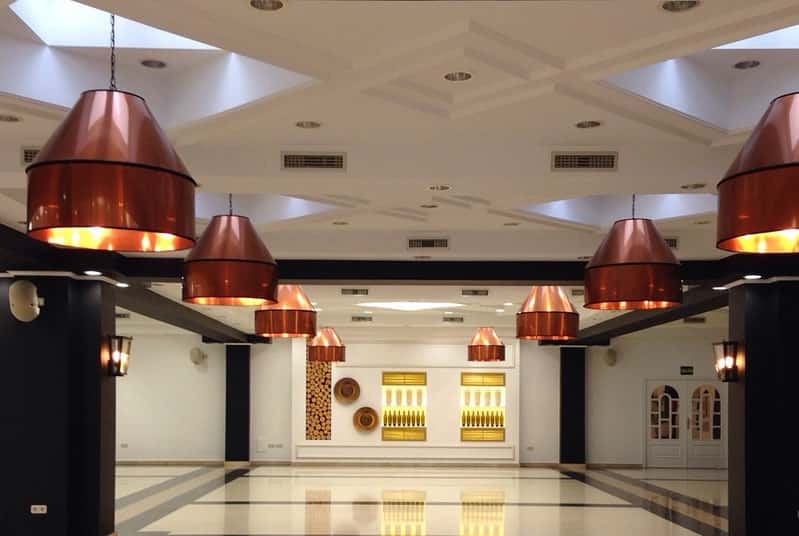 With interior designer Begoña Díaz Largo, we manufactured the lamps for the restaurant’s main hall. 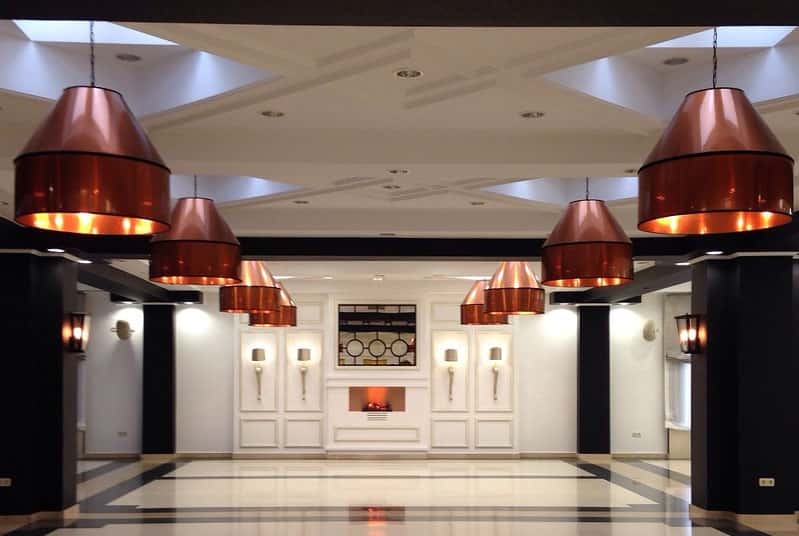 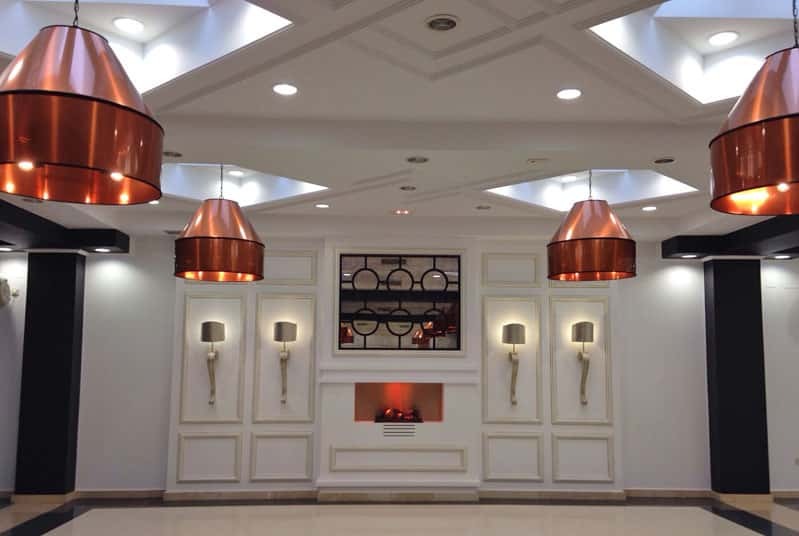 These are light fittings that are suspended in the form of a bell, with the addition of a shiny copper finish at the end and distributed in rows covering the ceiling of the entire room.